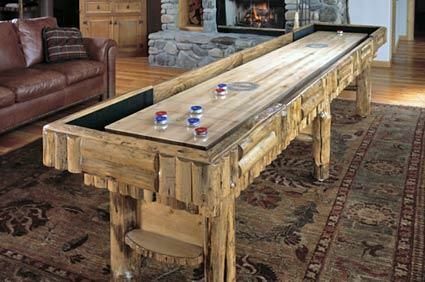 Our shuffleboard table maintains the same rustic characteristics and high-quality craftsmanship as our other products. 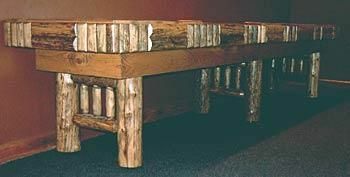 Trimmed with the distinctive log accents that distinguish our other game furniture, this beautiful table looks as good as it plays. The table in the main picture is the Wilderness style. Second is the Gallatin style, third is the Standard Style. Dimensions: Tables can be built in lengths of 10' to 22' in two foot increments.